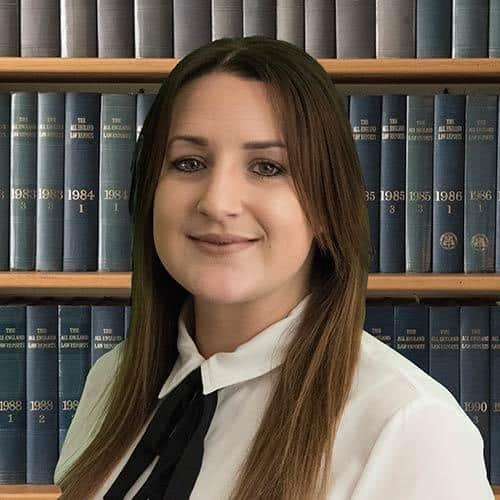 I am Lauren Kennedy and I am a Legal Advisor at Seatons Solicitors. If you, your family member or friend have been refused care funding and told that you must pay for care, possibly after they have been assessed for eligibility, then this is not the end of the matter and decisions such as these can and often are successfully challenged. A relative going into care can be a very difficult time for you and your family but it can be made even more difficult if you are told you will need to fund the care themselves. It is not uncommon for Local Authorities across the country to reach incorrect decisions not to fund or not follow the appropriate process which often results in unjust decisions that those needing care must pay for it themselves. Such decisions often see Applicants for funding having to sell their property of dissipate all their savings to pay for care which should rightly be funded. The law is clear – If someone has a ‘primary health need’, the NHS should fund 100% of that individual’s care fees without means testing. In order to establish if someone has a ‘primary health need’ a NHS checklist will need to be completed. We at Seatons are experts in challenging continuing healthcare and social care decisions as well as reclaiming residential and nursing home fees already paid when they shouldn’t have been. We will help, support and work hard for you and your family. We have a team of legal specialists who can fight for your care fees refund or assist with a new application for funding. We are fairly unique in that we have a Consultant Nurse Assessor, Nicki Slawson, who has worked in and around the continuing Healthcare system for many years. She has a wealth of experience and medical knowledge to ensure she is able to give you transparent and informed advice on how to apply for funding and more importantly how to appeal any decisions where appropriate. If you are having problems with an NHS checklist we will support you from the initial checklist and DST to all the way through the appeals process if needed. Please call us today on 0800 310 11 12 for a free, no obligation chat over the telephone. We can also assist with decisions made through social care and health which may not be directly linked to Continuing Healthcare such as Mental Capacity Assessments and Best Interests decisions to name but a few. We at Seatons are known as the ‘friendly professional’ and have built our reputation on providing our clients with an outstanding legal service. We understand care can be expensive so to keep costs clear and transparent, we offer an initial fixed fee assessment. However, if you want to make a claim to recover care fees you have previously paid, where we believe your case has merit, we can work on a no win no fee basis so if you claim is not successful, you do not have to pay a penny. Please call us on 0800 310 11 12 for a free, no-obligation chat over the phone with one of our friendly highly specialist team advisors. Call us today alternatively use our online enquiry form or click here to visit our website.